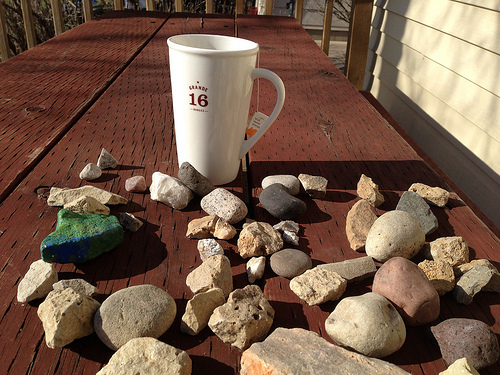 This week we asked you to share your rocks with us! 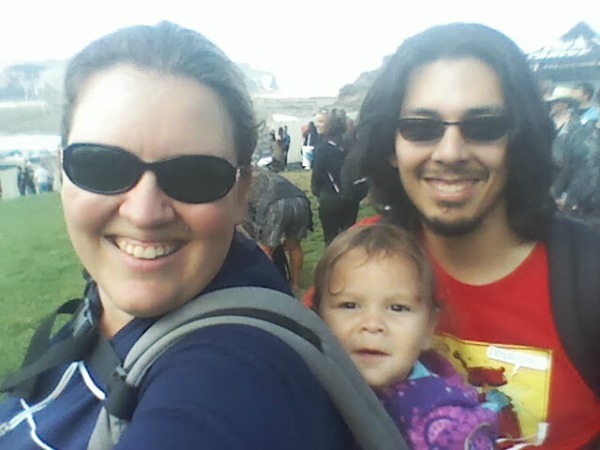 Jennifer from True Confessions of a Real Mommy has discovered the secret to raising kids who rock; Be parents who rock and include the kids. L3 was one of only a handful of children to rock out to Alice in Chains at the Pain in the Grass rock festival last summer. Parents who rock have kids who rock. 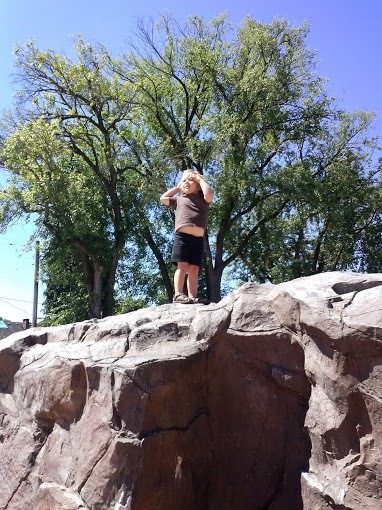 And climb on rocks. It takes guts to just stand back and let them explore their limits like this! 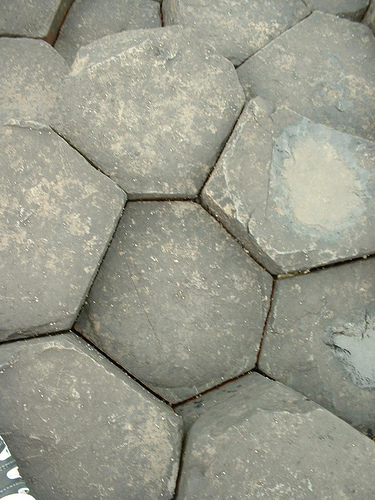 Shannon spotted these naturally occurring hexagonal rocks on her honeymoon in Ireland. 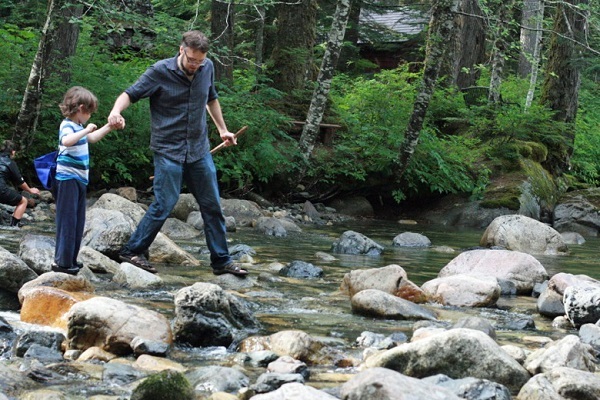 Shoes did not stay dry in this trek across the stream. 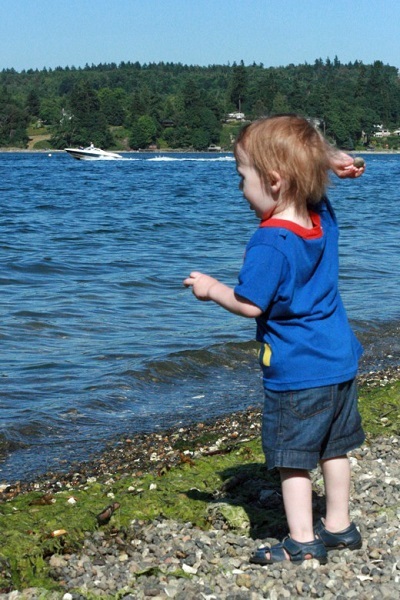 Put Alrik near water, and he WILL throw rocks into it. 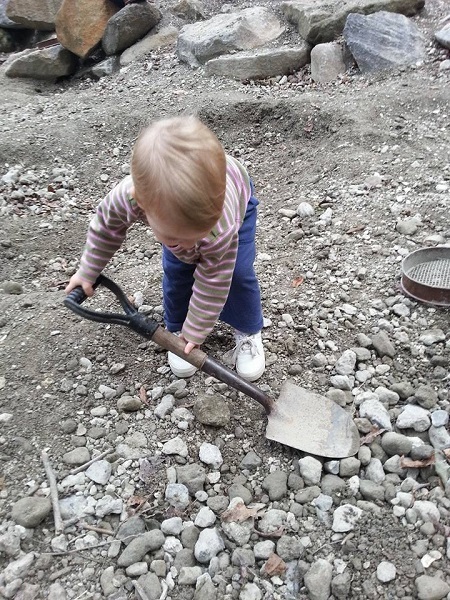 Tell us: How does your family interact with rocks in nature? 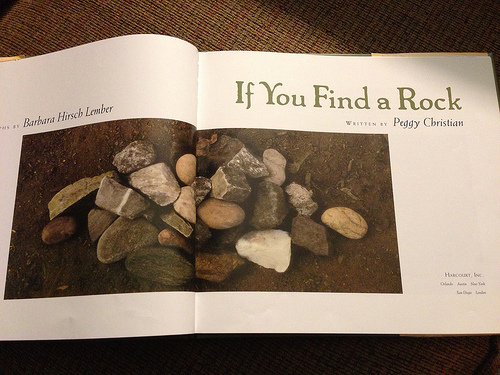 Love all the rock interpretations! Those hexagonal rocks are something else.